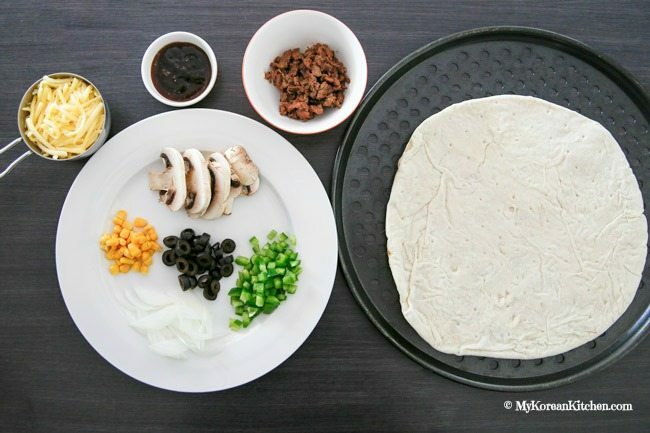 Let’s make some popular Korean pizza – Bulgogi Pizza! 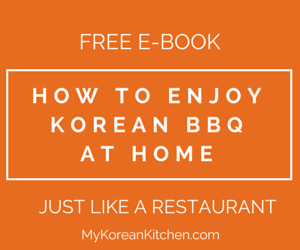 No doubt, it’s another creative way to enjoy delicious Korean BBQ – Bulgogi! Bulgogi is a popular food among Korean food lovers and even I make this quite often – at least once a week. I didn’t used to make this often 2 years ago – I probably would eat it once a month or even less frequently than that. But now I have a picky eating toddler girl and she absolutely loves Bulgogi! So now I make it a couple of times a week. A bit over done? Maybe… But still, who can resist sweet salty savoury deliciousness packed tender meat, right? Besides, it’s SO EASY to make. It particularly got even easier once I started using my hand held mixer instead of grating two of the key sauce ingredients – onion and apple with my bare hands. So naturally, I try to come up with as many possible ways to enjoy this delicious Bulgogi so that I/we don’t get sick of it. 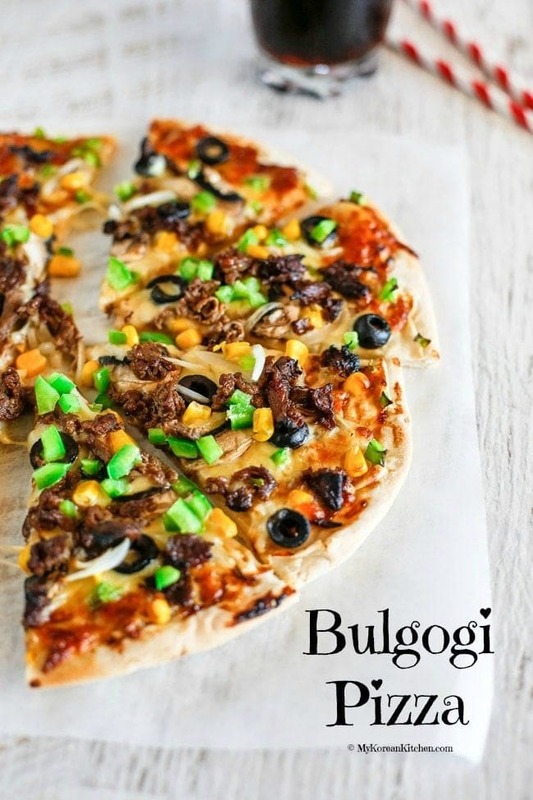 🙂 And recently I came up with this delicious Bulgogi pizza recipe and I highly recommend you to try it as well! 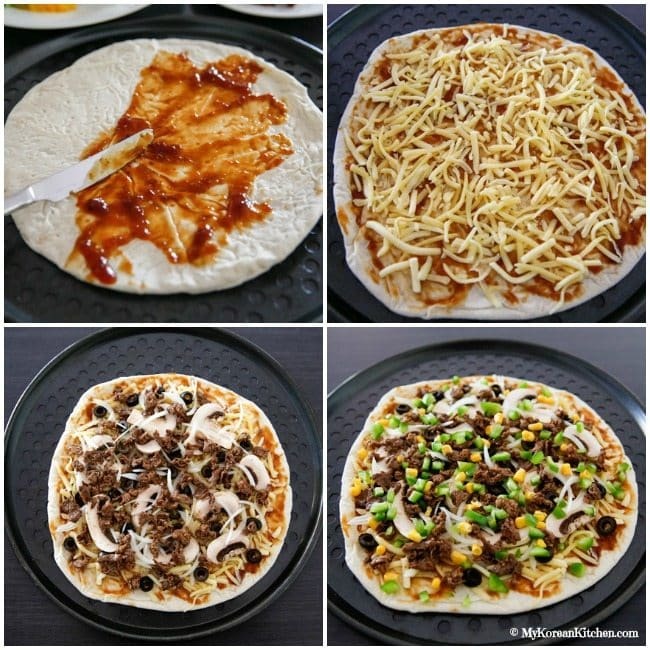 Bulgogi pizza is a very common/standard pizza in Korea. In fact, my very first pizza I had was Bulgogi pizza, which I tried back in 1996. I don’t think “PIZZA” was common in those days in Korea, particularly in the small town where I lived. 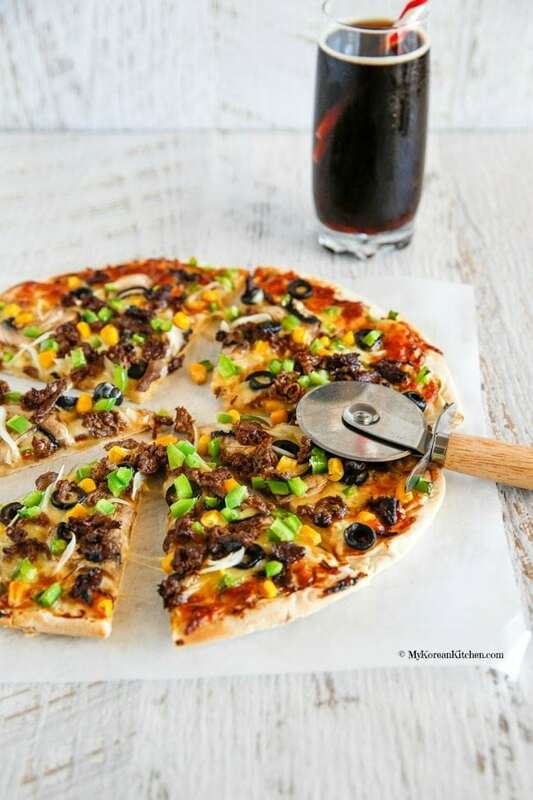 Korean style Bulgogi pizza is loaded with various colourful vegetables (almost like supreme pizza) including corn kernels. I know some people may raise their eye brows at this, but once you get used to it, it’s quite tasty. It might sounds weird but corn kernels seem to appear on almost every pizza variety in Korea. With this sauce, my pizza had a well balanced sweet, slightly salty and savoury flavour all over the crust! And I have to say, my Bulgogi pizza was way better than my husband’s “Friday pizza” – he makes pizza on every Friday. (Maybe I shouldn’t say this since that’s the only day he cooks for us. lol). (Husband Edit: That’s ok Sue, I do agree your pizza is better. Maybe we should have it every Friday from now on?). 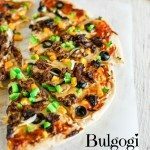 This Bulgogi pizza tastes very close to what you would get from a pizza franchise in Korea, so you won’t be disappointed! Hope you like it! 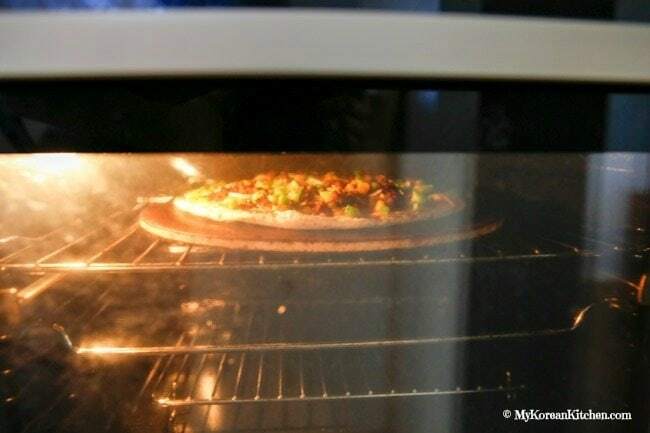 1.Put a pizza stone into an oven and pre-heat it at 200 degree celsius (392 F) – this is based on a fan assisted oven setting, while the pizza is getting ready (for about 35 mins). Typically 20 mins preheating is sufficient but then I tend to forget to put it into the oven. So I do this first thing and preheat longer as a result. 2. Make the Bulgogi pizza sauce in a pan. 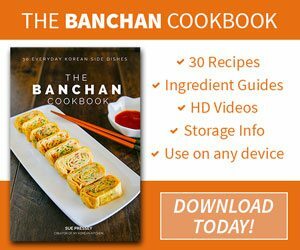 – Pour the Bulgogi pizza sauce in a heated pan and boil it over low heat for about 10 to 20 seconds. Add the thickening agent and stir well until the sauce is thickened. (The sauce thickens faster at a higher temperature.) Scoop out the sauce onto a plate and set aside. Pour all the pizza sauce onto the pizza base and spread it thinly and thoroughly. Add the mushrooms, olives, onion and Bulgogi on top. Scatter corn kernel and green capsicum/bell pepper between the gaps. 4. Transfer the pizza onto the pizza stone and bake it for 10 mins at 200 degree celsius (392 F). 5. Take the pizza out from the oven and slice. Enjoy! 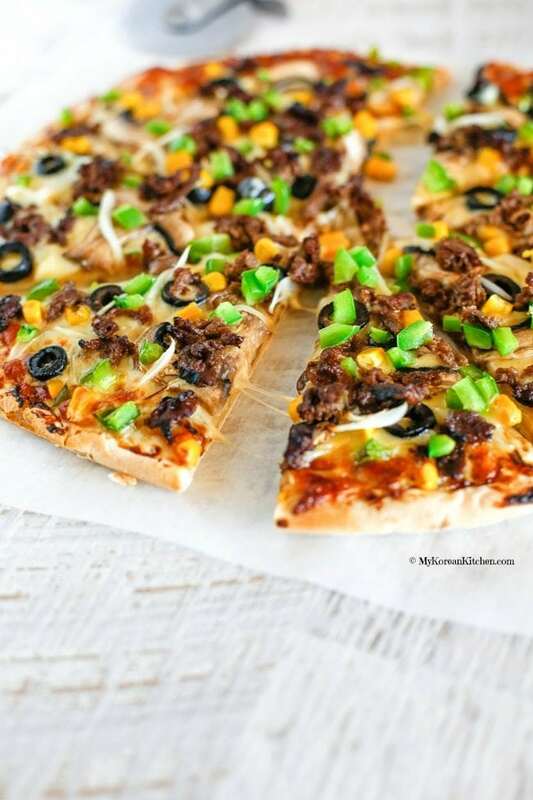 A delicious Korean BBQ beef pizza recipe! 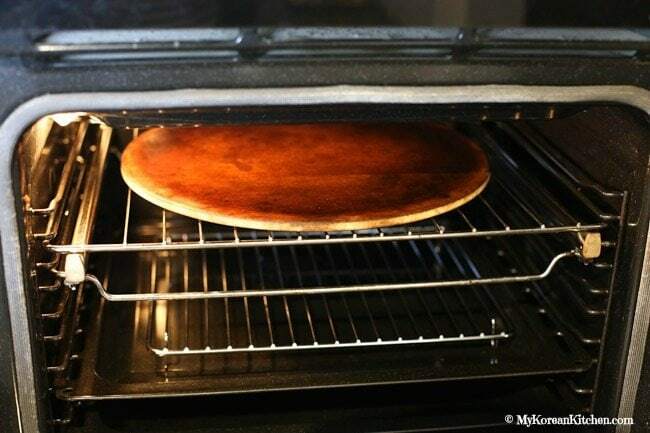 Put a pizza stone into an oven and pre-heat it at 200 degree celsius (392 F) – this is based on a fan assisted oven setting, while the pizza is getting ready (for about 35 mins). Typically 20 mins preheating is sufficient but then I tend to forget to put it into the oven. So I do this first thing and preheat longer as a result. 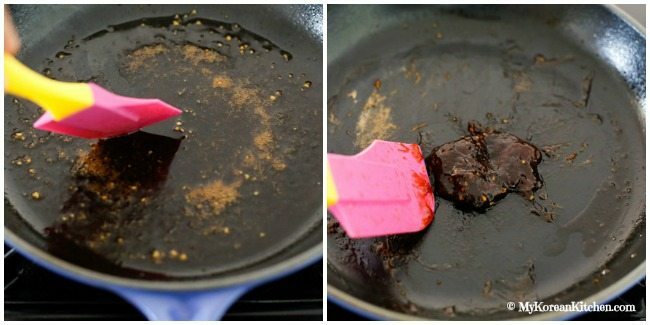 Make the Bulgogi pizza sauce in a pan. 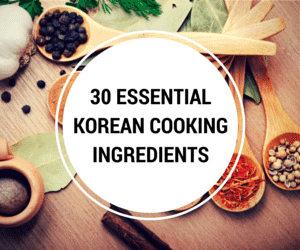 – Pour the Bulgogi pizza sauce in a heated pan and boil it over low heat for about 10 to 20 seconds. Add the thickening agent and stir well until the sauce is thickened. (The sauce thickens faster at a higher temperature.) Scoop out the sauce onto a plate and set aside. -Pour all the pizza sauce onto the pizza base and spread it thinly and thoroughly. -Add the mushrooms, olives, onion and Bulgogi on top. -Scatter corn kernel and green capsicum/bell pepper between the gaps. Transfer the pizza onto the pizza stone and bake it for 10 mins at 200 degree celsius (392 F). Take the pizza out from the oven and slice. Enjoy! When I say “meat only”, I intended it to be without any vegetables as my original bulgogi recipe is cooked with some vegetables. So you will just cook the marinated bulgogi to use as a topping. Also, I used thinly sliced beef not ground beef. Depending on the size of the meat and also per your preference, you can cut the meat into smaller pieces with a pair of scissors once it’s cooked. Maybe that’s why my bulgogi looks like ground beef. Just wondering where can you buy the msg free oyster sauce you used here in Australia. I’m from Sydney. Hi Julia, I buy mine from Woolworth. This is the one. https://www.woolworths.com.au/shop/productdetails/230528/woolworths-select-asian-sauce-oyster Also, I just noticed that it’s technically, “No Added MSG” 🙂 Hope this helps! Thanks Sue. I’ll be sure to check out my local Woolworths for it! I think that making a gochujang sauce would rock this up a level. Have you tried that on one of your pizzas? Will this recipe also work if i put the marinated (uncooked) bugolgi beef onto the pizza dough and cook everything in the oven af one go? Is the Bulgogi meat [grated pear, soy, sesame oil & seeds, brown sugar, grated ginger, garlic, Mirim and thin sliced beef]? I think I made lettuce wraps with that. I changed the marinade a bit since the pear sticks to the beef and burns during BBQ. I put the grated pear in a freezer bag first, then squeeze all the juice out. The solids from the pear stays in the corner while the rest of the ingredients marinade the beef. This looks delicious and makes me hungry.